The deal has generated a huge political controversy and continues to rock Parliament. Union minister Arun Jaitley, however, rebutted Mr Sibal’s claims, saying that the Congress was casting aspersions on the institution of the CAG based on “falsehoods”. 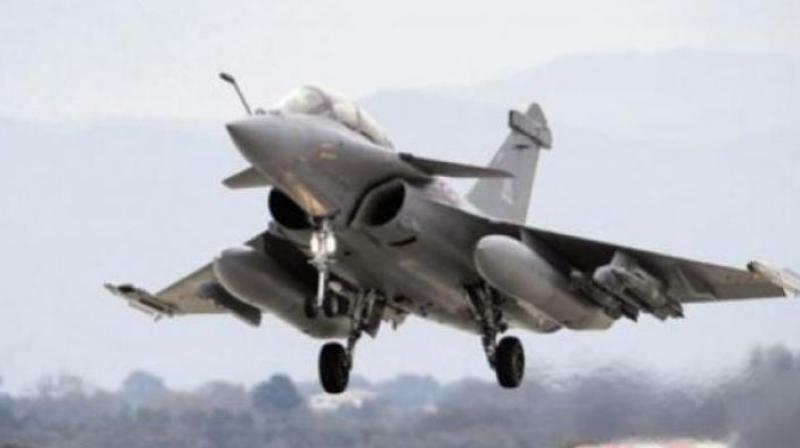 New Delhi: The government is likely to table the report by the Comptroller and Auditor-General (CAG) on the Rafale fighter deal in Parliament on Tuesday, sources said. The government’s decision to buy 36 Rafale fighters from French company Dassault has become a controversial political issue, with the main Opposition party, the Congress, levelling allegations of corruption and impropriety, and the ruling party and the government defending the move. The CAG report is, however, unlikely to be harsh on the government, the sources said. This is the last session of the 16th Lok Sabha as the general election is due to be held in April-May. Former Union minister and senior Congress leader Kapil Sibal had on Sunday alleged a conflict of interest and urged the CAG, Mr Rajiv Mehrishi, to recuse himself from auditing the deal as he was the finance secretary when the deal was negotiated. “Another attack on the institution of CAG by the ‘institution wreckers’ based on falsehood,” Mr Jaitley said in a series of tweets of Sunday.